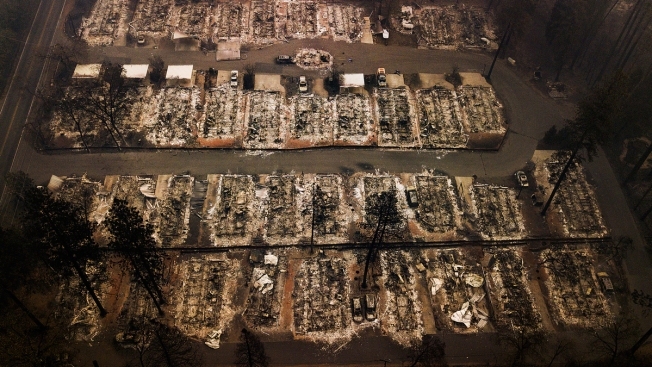 FILE - This Nov. 15, 2018, aerial file photo shows the remains of residences leveled by the Camp wildfire in Paradise, California. Heitman is, therefore, going beyond traditional insurance predictions to factor climate risk into its investments. It hired a Berkeley, California-based firm called 427, one of a new cottage industry of companies that assess climate risk to real estate. It’s mission, according to the website, is to catalyze climate adaptation and resilience investments by enabling the integration of climate science into business and policy decisions. 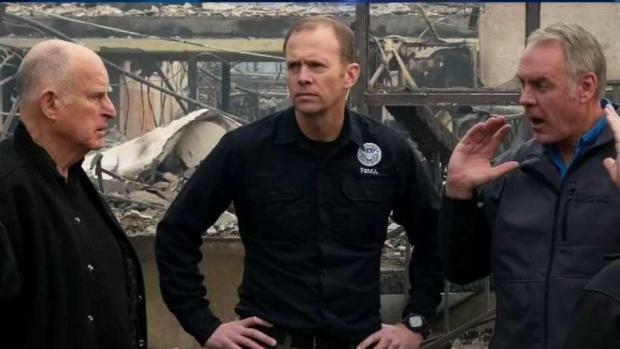 “They were able to provide us an assessment of flooding, wildfires, wind-related disasters, and we can then aggregate that up to what is Heitman’s total exposure globally or a specific client’s exposure on the individual buildings they own. They can assess potential acquisitions and the risk that they represent,” said Ludgin. These risks include not just the destruction from individual natural disasters but business disruptions for property tenants and higher operating and capital costs caused by increased wear and tear on properties from more extreme weather. As a whole, the industry needs to understand the pricing impacts of physical climate risks, and how climate change is likely to have a bigger impact on valuation in the future as asset and market liquidity are affected, the ULI report says. And it’s not just storms and sea level rise, but the potential higher costs associated with protecting cities and municipalities from both. In Miami, for example, the city is investing $200 million into resilience, installing pump stations and upgrading its infrastructure. Miami Beach is on track to spend twice that, raising sidewalks and seawalls. The money is coming from new bonds — voters raising their own property taxes to protect their property. All of it is a new and now necessary part of what real estate investors, developers and managers need to do to factor opportunity against risk. That is because higher-risk assets will eventually see downward repricing, as the market redirects capital to locations and individual assets where it is expected to be better insulated from these particular risks, the ULI report said.